Christopher Nolan’s films are always talked about a lot. Interstellar is no different. 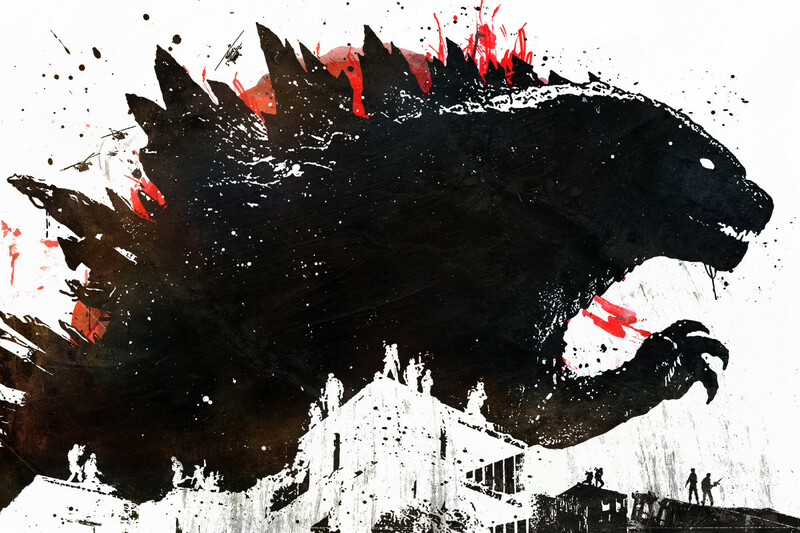 Some people label it as a masterpiece, while others see it as a movie riddled with plot-holes. Whatever your stance is, you can’t ignore the fact that it’s a great work of art. Call it a sci-fi, thriller, or a mystery movie; you wouldn’t be wrong with any label. It’s a good mixture of the above genres, making for a compelling, subtle story that touches upon a lot of delicate issues. Never before have I seen a movie blend sci-fi and philosophy like this. It’s fascinating. And we wouldn’t blame you if you’re looking for some more movies like Interstellar. Being a huge fan, I searched around and compiled a list of some similar films. Let’s take a look. 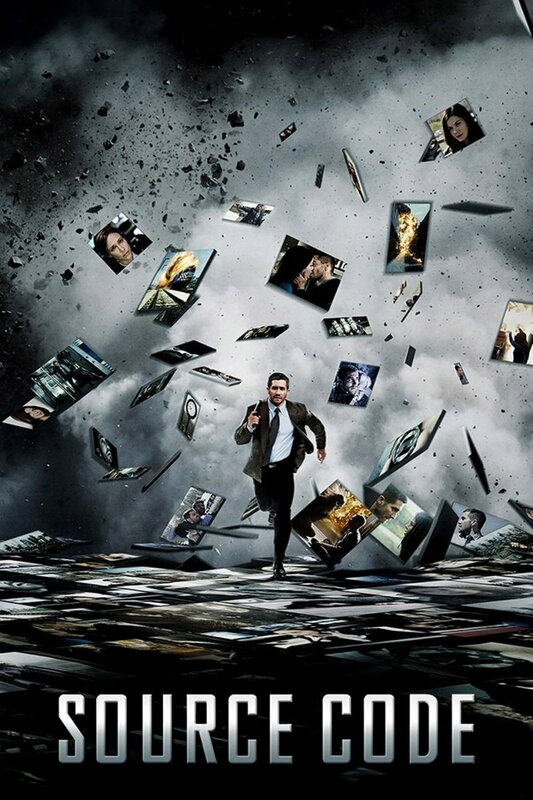 In the days of remakes, recycle and brain-dead sequels, Inception is one true gem. Directed by none other than Nolan, it tells the story of Robb and his team, who are experts in entering people’s minds in their dreams and stealing their ideas. They do so with the help of a device, and no one even suspects that they stole millions of dollars’ worth of ideas. Things don’t go as smooth when they’re told to place an idea inside someone’s brain instead of stealing something. It’s harder, riskier and unlike anything they’ve done before. If they can’t wake up in time, they’ll be stuck in the limbo state forever – a dream state where everything feels real, but it isn’t. Dying in the dream is as good as real life death. Will they risk it? 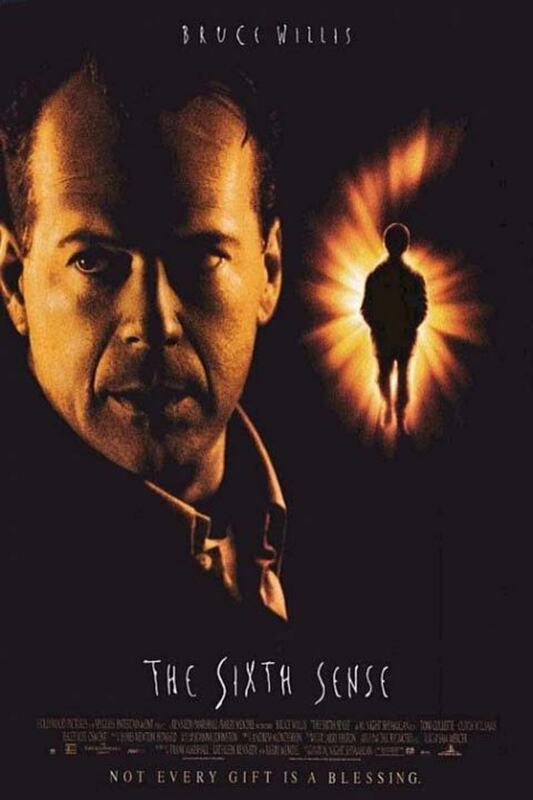 It took Nolan almost 10 years to write the screenplay for this movie. And the perfection shows on screen. There may be some plot-holes, but I was hard pressed to find any. 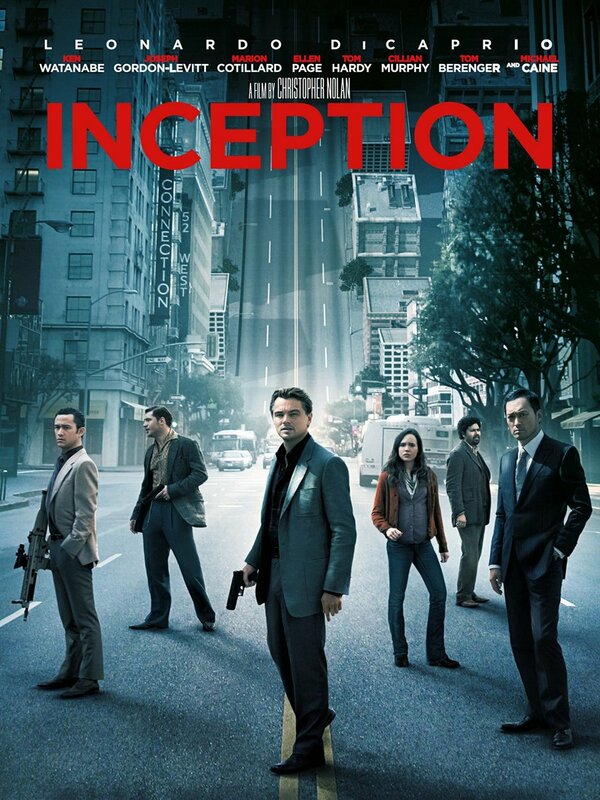 As complicated as Inception is, it’s absolutely perfect. You might be frustrated and lost at times due to the intricacy, but trust me, you’ll have most of the answer by the end of it. Of course, you’ll have to watch it again to get all the answers. Like I stated, it’s too subtle to understand in just one go. Pay attention to each of the little details, shots and dialogues. 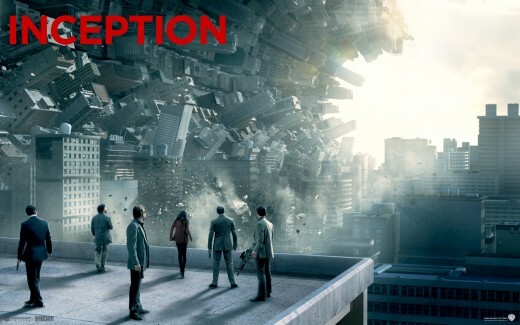 Without the attention, one can’t appreciate what Inception has to offer. 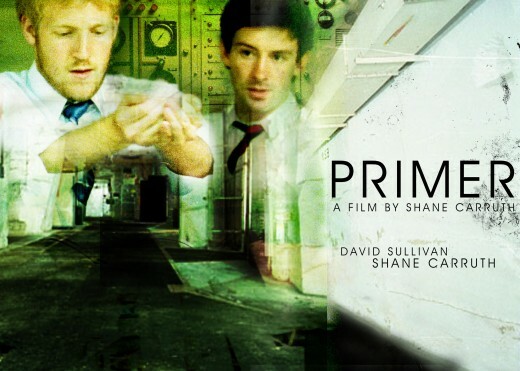 Primer - a $7000 movie that was mostly shot inside a garage. 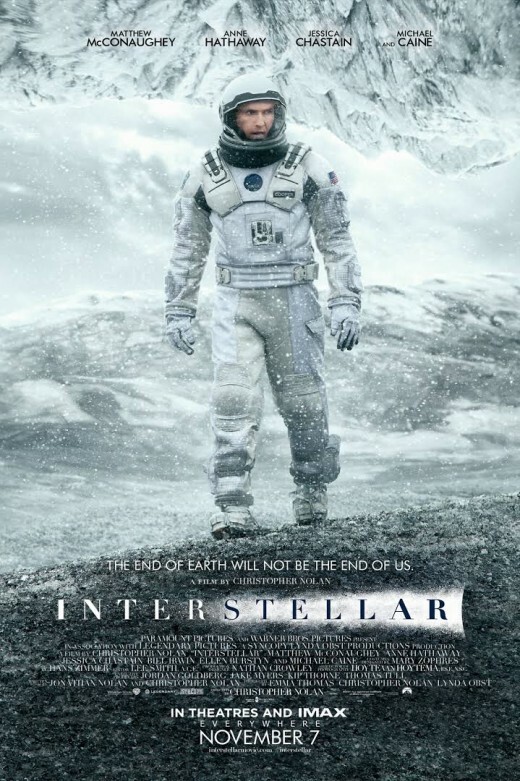 On the other hand, Interstellar cost a whopping $165 million. Still, the former is better in much aspect than the latter. You thought movies like Interstellar and Inception were trippy. You won’t say the same after watching Primer. The plot revolves around a group of engineers, who accidentally happen to invent some sort of time travelling device. They’re not sure how things work. But they’re sure of one thing – it’s a special device. On the verge of a groundbreaking invention, things start going awry when the trust between them breaks. Things spiral out of control. Don’t ignore this underrated masterpiece for its measly budget. From a subtle story to some authenticating acting, everything looks professional. 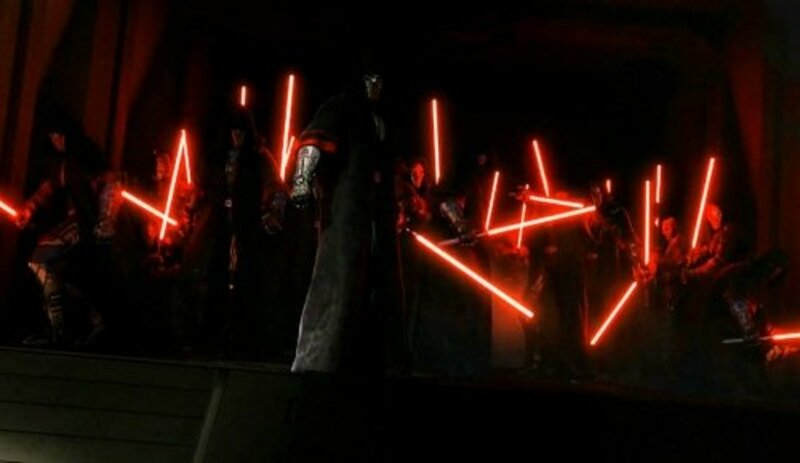 Of course, there are no heart-stopping action-sequences and millions of dollars’ worth of sets. 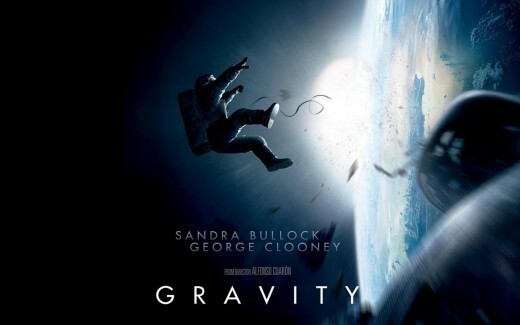 Gravity is the story of Ryan Stone, a rookie engineer in space for the first time, and Matt Kowalski, a veteran, who is on his last mission before he retires. When an unexpected disaster wrecks their shuttle apart, they’re left with nothing but pieces of it. With each passing moment, they are spiraling deeper and further away from what’s left of their shuttle – their only hope to get back to earth. In these desperate times, sacrifice, patience and presence of mind is needed to survive. Can they do it? The movie is just opposite of what the name suggests. For more than 90% of the time here, the gravity is what the survivors look for – something to cling on to. In space, however, there is not much of it. The further they spin, the lesser their chance of every getting back in gravity zone again. The movie starts slowly, taking its sweet time to set up everything. Once it begins to roll, though, it’s a rollercoaster ride. The whole time, you pray for the characters as they desperately try to find a way back home. Just like Interstellar, the last few moments will have you glued to the edge of your seat. It’s a nail-biting journey you don’t wanna miss out on. The oil resources on Earth have dwindled down to almost nothing. Helium -3, an energy source extracted from the moon, is used instead of traditional sources. The resource extraction, however, is a boring and dangerous job. The plot revolves around an astronaut, who is tasked with maintenance of the extraction facility. Things go pretty smooth until he finds out that things are not the way he thought they were. There is a reason why he can’t communicate back to the earth. Everything has been pre-taped years ago. And he is not the person he believes he is. Will he really be going back home, ever? It’s pretty hard not to spoil the whole story. I want to tell you everything. I want to tell you how twisted and jaw-dropping the reveal is. But that’d ruin the fun for you. 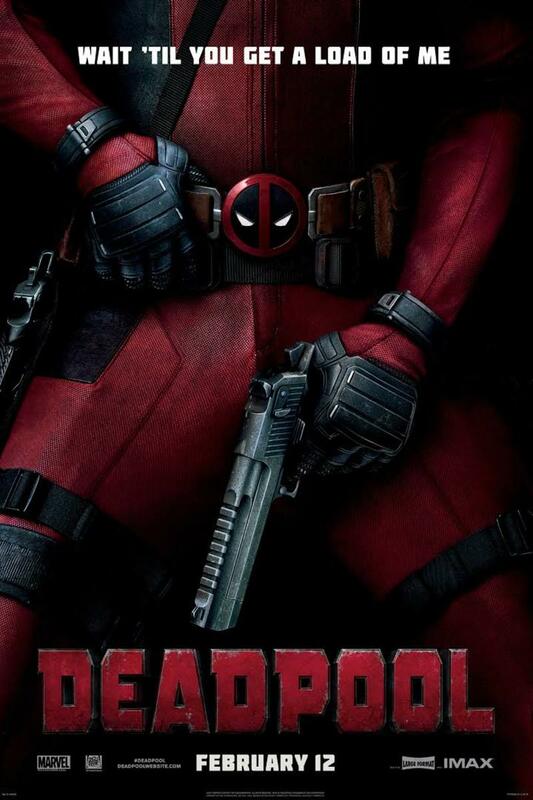 It’s better if you watch this movie not knowing what to expect from it. The beginning can be a bit confusing, but everything begins to fall into place right before the ending. The plot revolves around a private investigator, who comes to a strange island to investigate the escape of a dangerous inmate. 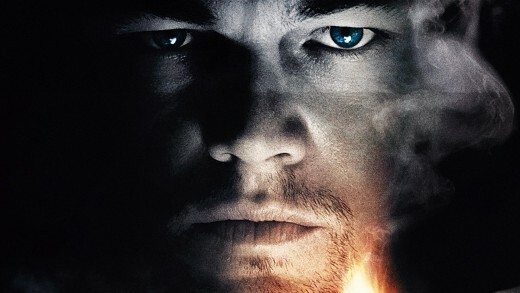 Right from the very first shot, Shutter Island starts working its magic on the audience. A beautiful island with haunting background music – it’s mesmerizing. Right from the get-go, you know that something is up. They throw hints at you all the time. And if you pay attention all the way through, you can see it coming from a long way. 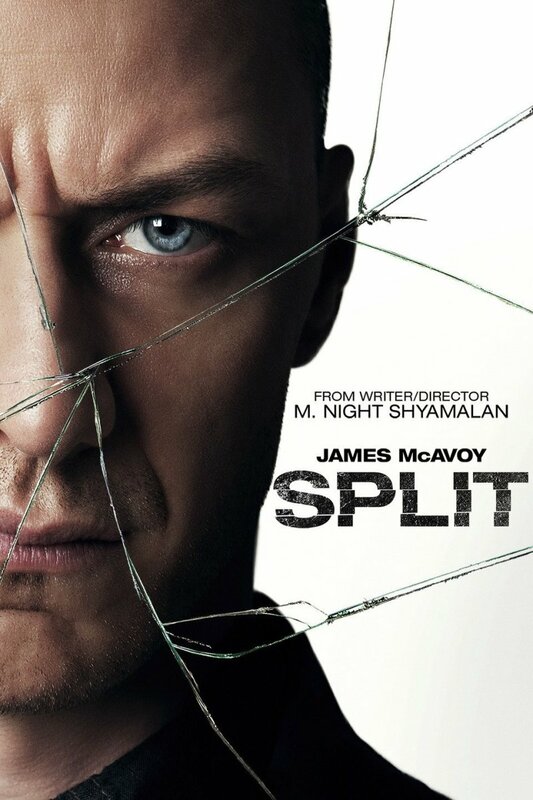 Still, the twist in the end gets you, making you want to watch the whole movie again, with a different perspective. What I can tell you is this; you won’t see the protagonist in the same light as you did in the beginning. The protagonists of Interstellar and Shutter Island have one thing in common – they don’t know much about the mission they’re going on. They have no idea how twisted things are. There is much more going on than what appears on the surface. Both movies are an awesome piece of entertainment – movies that make you think and stay with you for a long time. How did we, the human, get here? Will technology be our savior or the reason of chaos? Is there someone else out in the whole universe? Mankind has been dealing with these questions for a long time now. 2001: A space Odyssey, a “coined” spiritual successor to Interstellar, has all the answers for you. They don’t have to be necessarily true; authenticity is the only factor that matters and 2001: A Space Odyssey has done an amazing job in making the story genuine and believable. You’d be forgiven for thinking that it was shot in 2001. 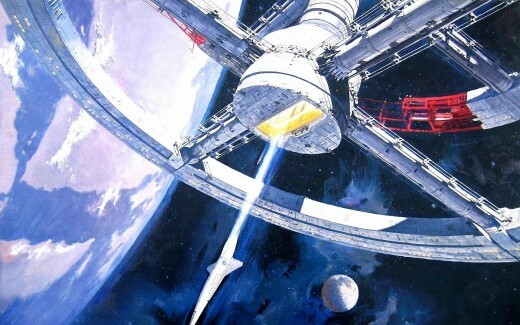 For its time, A Space Odyssey is a technological achievement. It still gives contemporary sci-fi movies a run for its money. It’s hard to believe that this movie was made more than 50 years ago. You have to experience it first hand to believe it. 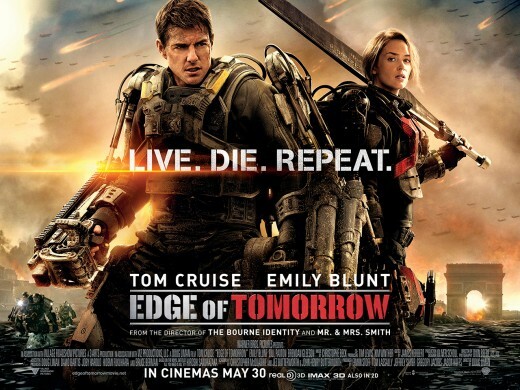 Edge of Tomorrow takes place in the future where millions of humans have died in an ongoing and hopeless battle with aliens. The Aliens are almost on verge of a win. With the human race in danger, Major William Cage (Tom Cruise), a man with no battlefield experience whatsoever, is sent to the battleground. What he doesn’t know is that he holds the key to defeating the aliens. Willam dies countless times, and comes back to life to live the same scenario again, getting better with his combat skills and finding what it takes to defeat an unrelenting force. Most of the scenes and dialogues are repeated over whenever he comes back to life. Trust me; it’s not boring. It makes more sense than the previous time. Slowly but surely, Willam learns to make the best use of his situation, which ultimately gives him control over the whole mission. It’s a satisfactory journey where you root for the protagonist all the way through, and when he finally gets there, nothing else feels more satisfactory. If you’ve had enough of grim sci-fi movies like Interstellar, perhaps you’d like to give Guardians of The Galaxy a go. It’s a light hearted take on aliens vs humans struggle. The plot is nothing new. It has been done a million times before. But what sets it apart from other movies is its witty screenplay, good pacing, and a sense of humor – something a lot of mainstream movies of this genre seem to lack these days. 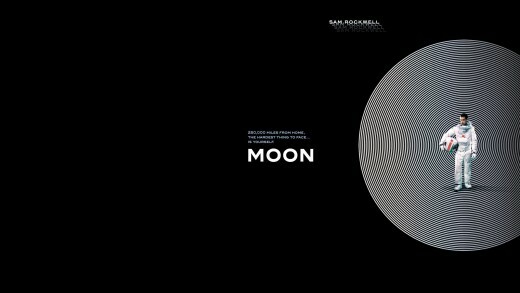 While it may not be as sophisticated and philosophical as Interstellar, it still achieves its goal of being an entertaining flick. Space action movies don’t get better than this. 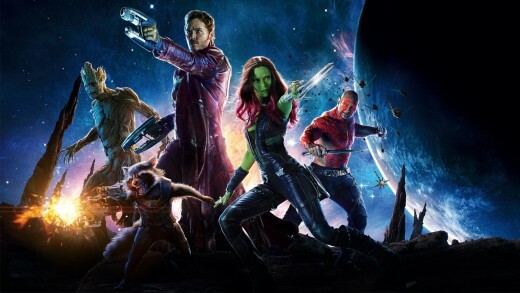 If you end up liking it, check out the second part, Guardians of the galaxy Vol. 2. The earth has been destroyed after years of crusade between the aliens and the human race. With most of humans taken to their new home, only two people stay behind to extract the remaining resources. Soon, they begin to question what they know about earth, aliens and the history of war. The whole time I was watching this movie, it reminded me of The Twilight Zone.Think of it as an episode of this famed series. 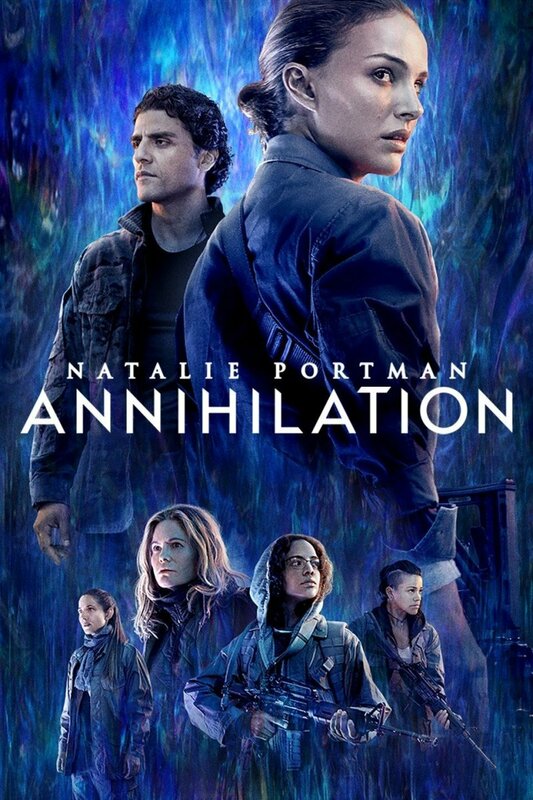 It takes a lot of elements from The Matrix, Wall-E and The Planet of Apes, and the result is a mature, devastating dystopian story that haunts you long after the credits roll. 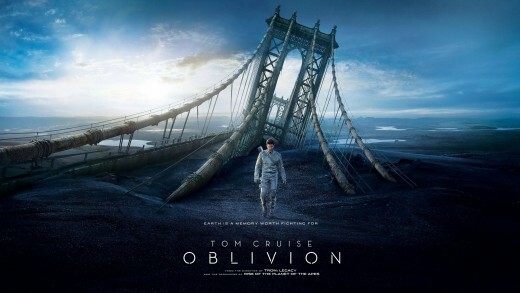 With Tom Cruise completely in control the whole time, you can expect nothing else but perfection. He’s been spending most of his 50s saving humanity, and Oblivion is no different. It starts out simple, but get increasingly complicated as the plotline progresses. nice post here. interstellar is the best.